It looks like this spring will be a great time to get a good look at prospects in the San Francisco Giants farm system. The Giants lost yet another player to the World Baseball Classic. The Giants were already losing nine players off their projected 25-man opening day roster to the WBC, plus two more in their farm system, making 11 total participants. Well, make that 12 total participants. It will leave the Giants a bit thin in the outfield. When players depart for the WBC, the Giants will have just seven pure outfielders in camp — Hunter Pence, Gregor Blanco, Francisco Peguero, Juan Perez, Roger Kieschnick, Gary Brown and Cole Gillespie. We can also expect to see Brett Pill play some innings in left field, as he tries to improve his chances of making the club with some versatility. OK, we’ve moved on from the Super Bowl (sort of), and ready to get MoreSplashHits geared up again as the 2013 season approaches. During the offseason prior to the 2012 season, the Giants traded OF Andres Torres and RP Ramon Ramirez to the Mets for OF Angel Pagan, who proved to be a pivotal player in the Giants’ World Championship run. This offseason began with the Giants re-signing Pagan to a four-year deal. Then the Giants re-signed Torres. On Tuesday, the Giants signed Ramirez to a minor league deal. Both Torres and Ramirez had so-so seasons with the Mets that were marred by injuries. Torres hit .230 with 3 HR, 35 RBI, 47 runs and 13 SBs in 132 games for the Mets in 2012. Those numbers were only slightly better than his dismal 2011 numbers for the Giants of .221, 4 HR, 19 RBI, 50 runs and 19 SBs in 112 games. 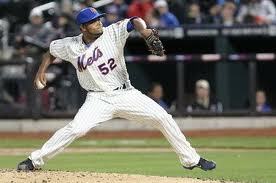 Torres suffered a calf injury during spring training last year and aggravated it early in the season. The injury sidelined him for most of the first half of the season. The Giants hope Torres’ better numbers as RH batter vs. LH pitching (.286 vs. .195 as LH batter vs. RH pitching) will make him a good platoon option to LH hitting Gregor Blanco. Ramirez posted a 0.67 ERA in 25 games after being acquired in a trade with the Red Sox in 2010 for the Giants. He followed that up with a career-best 2.62 ERA in 2011. Last season for the Mets, he was 3-4 with 4.24 ERA. Hampered by a midseason hamstring injury, Ramirez posted career highs in WHIP (1.461) ballooned by a career-high walk rate of 4.9. Ramirez will be battling for the final spot in the Giants bullpen along with Chad Gaudin, Scott Proctor among a bevy of pitchers who will see a lot of action during spring training because a major chunk of the bullpen will be participating in the World Baseball Classic. 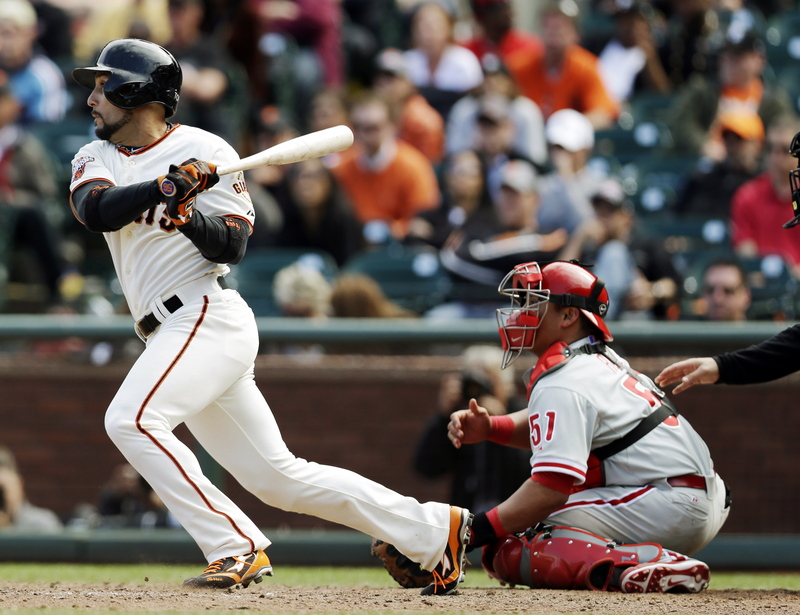 The Giants made their second significant move of the offseason Tuesday, acquiring outfielder Angel Pagan for outfielder Andres Torres and reliever Ramon Ramirez. When comparing Pagan to Torres, the Giants got a clear upgrade offensively. Both players had breakout years in 2010. Pagan had .290 AVG/.340 OBP/.425 SLG, 37-46 on SBs, 15.3 K pct. Torres had .268/.343/.479, 26-33 on SBs; 22.5 K pct. And both suffered drop-offs in 2011. Pagan .262/.322/.372, 32-39 SBs, 11.7 K pct. Torres .221/.312/.330, 19-25 SBs, 23.9 K pct. Torres was clearly the better defender, but Pagan had an outstanding defensive season in 2010, when he ranked in the top 5 in Defensive WAR, Total Zone Runs, Range Factor, putouts and outfield assists. His defensive numbers took a big drop in 2011, most notably because he committed a whopping 10 errors. But has he had committed nine total error in his previous five major league seasons, we have to consider last season an anomaly. In 2011, Pagan never seemed to get on track and battled through a series of ailments. Most notably, Pagan missed five weeks of the season with a stress fracture in his rib cage after opening the season batting .159. He hit .279 after coming off the DL. So even with his drop-off, Pagan’s season was far superior than Torres’ 2011 campaign. And Pagan is more than three years younger. Pagan, Torres and Ramirez were all arbitration eligible. With Pagan set to make $5 in 2012, the salary exchange is basically a push. Torres had essentially worked himself into a role as a reserve outfielder for the Giants in 2012. Pagan can step into a starting role. And with Pagan is a far better option as a leadoff hitter and center fielder than Melky Cabrera, who now moves over left field. In order to get that upgrade, the Giants had to give something up. And that was Ramirez, who was coming off a season in which he had a 2.62 ERa in 68.2 IP. It was his fourth consecutive season with an ERA of 2.99 or lower. But with one of deepest bullpens in the majors, the Giants dealt from strength. And with organizational depth of relievers (notably Heath Hembree), the Giants felt Ramirez was expendable. One missing name that was quickly pounced upon by Giants fans was Brandon Belt. We expect Belt will get at-bats. If he hits and if Huff (or any of the outfielders) struggles, Belt will get starts. A couple of other potential moves: The Giants were reported to be working on a trade to send 2B Jeff Keppinger (another arbitration eligible player) to an unnamed AL team. Given the team’s financial constraints, it appears the next offseason splash won’t cause much of a ripple. The Giants want a right-handed infielder to support Crawford. They may have luck after next week’s non-tender date. With the vacancy left by Ramirez, the Giants are talking about bringing Guillermo Mota back. The Giants consider it a "long shot" to re-sign outfielder Carlos Beltran. Giants fans can be a fickle bunch. They’ll cry out over a lack of activity in offseason moves, then will whine about bad contracts that the team has signed. The Giants’ recent track record on free-agent hitters signed prior to New Year’s Day has not been good — Aaron Rowand (Dec. 12, 2007), Edgar Renteria (Dec. 4, 2008), Mark DeRosa (Dec. 28, 2009), Miguel Tejada (Dec. 2, 2010) and Aubrey Huff (Nov. 23, 2010). But when the Giants have waited and signed players to one-year deals in January, they have had better success: Juan Uribe (Jan. 29, 2009 and Jan. 4, 2010) and Aubrey Huff (Jan. 10, 2010). So the Giants clearly are seeking offensive help, but they are not going to outbid teams for players in their 30s or with injury issues. That’s why they lost out on players like Grady Sizemore (re-signed with Indians), Willie Bloomquist (re-signed with Diamondbacks) and Jerry Hairston Jr. (signed with Dodgers), three players that Giants have been linked to this offseason. 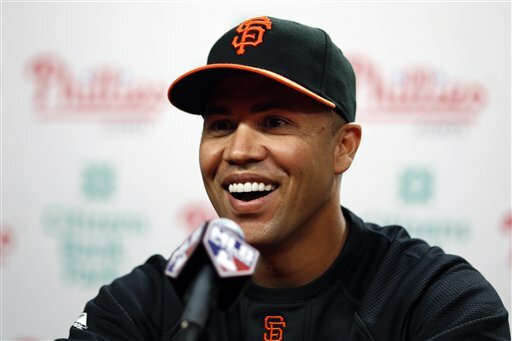 Carlos Beltran, of: Giants GM Brian Sabaen classified it as a “long shot” for the Giants to re-sign Beltran. The reason? Sabean says an AL team may be in a better situation to give Beltran a longer deal he seeks, because he could moved to a DH at the end of that contract. But the market has been quiet on Beltran so far. And it’s interesting to see if Beltran will accept the possibility of being a DH in exchange for a longer deal. He did limit his trade options to NL teams last summer. Alex Gonzalez, ss: Ugh, these reports are discouraging on many levels. Gonzalez has been described as a SS with some pop. But what I see is a guy with .241 AVG, .270 OBP and a .642 OPS with a whopping 126 strikeouts. Miguel Tejada, who the Giants cut last season, went .239/.270/.596. Gonzalez is just Tejada-plus (better fielder, more pop, younger). He’ll be 35 on opening day. The Giants need more hitters who can get on base more, make more contact and have speed. Gonzalez is not a fit. Also, the Giants have said they’d be willing to give Brandon Crawford a shot at shortstop if they can improve the offense elsewhere. If they are in on a player like Gonzalez, it indicates they aren’t confident of improving the team elsewhere. Ryan Ludwick, of: There was a report that the Giants were talking to Ludwick, who has been on steady decline since the Cardinals traded him to the Padres during the 2010 season. Andrew Baggarly of the San Jose Mercury-News labeled it more “tire kicking.” Let’s hope so. Ludwick went .237/.310/.674 with 124 whiffs last season between San Diego and Pittsburgh. Yuck. Jeff Keppinger, inf., and Andres Torres, of: The Giants are rumored to be seeking a trade for both this week. Next Monday is the date for teams to tender contracts to arbitration-eligible players. It’s a signal that the Giants are considering non-tendering both players. It’s because of salary. Both would be backups for the Giants, and made $2.3 million and $2.2 million respectively last season. There’s nothing that precludes the Giants from non-tendering a player, then re-signing them at a cheaper rate as a free agent. There’s more reason to keep Torres with his speed and glove. Keppinger is not an option at SS. He hasn’t played for than 12 games at SS in a season since 2008. Ramon Ramirez, rp: Ramirez also has been mentioned in trade rumors, like Keppinger and Torres. But unlike those players, there would actually be a market for Ramirez, who made $1.65 million in 2010 and is arbitration-eligible. We can actually see the Giants tender Ramirez next week, then still seek a trade before his case goes to arbitration. Cody Ross, of: Ross opened the offseason looking for a three-year deal. Yeah, right. Now he’s looking for a two-year deal. Good luck with that. The Giants would be interested in bringing him back for a cheap, one-year deal. But Ross has said if he has to settle for a one-year deal, he wants to go to a hitter-friendly environment (i.e. not AT&T Park). Note to Cody: You hit .242/.336/.735 at home last season, .237/.315/.726 on the road. Outfielder Andres Torres agreed with a one-year contract for $2.2 million with the Giants, avoiding arbitration for the last arbitration-eligible Giant. Torres had asked for $2.6 million, and the Giants countered with $1.6 million. We heard reports earlier in the week that it was $1.8 million. But if it were $1.8 million, then $2.2 is the midway point. And if that’s the case, the two sides would have agreed to a deal on Tuesday. With the $1.6 million number, $2.1 million is the midpoint. So then it makes sense that Torres would hold out for an extra $100K, plus he can earn another $100K in bonuses. Torres’ deal puts the payroll for the 25-man roster right at $114 million. With a half dozen or so players who will earn slight raises when their contracts are renewed, plus potential bonuses, the payroll could easily sit around $115 million for 2011, a jump of about $20 million over 2010. Four of the six arbitration-eligible Giants players settled with the team on the first day that arbitration figures could be exchanged. So you may wonder why then did Andres Torres and Javier Lopez not settle. The answer is simple: Age. Cody Ross is 30, Jonathan Sanchez is 28, Ramon Ramirez is 29, Santiago Casilla is 30. Javier Lopez is 33. Andres Torres will turn 33 on Jan. 26. Lopez and Torres have fewer years of earning potential, and need to be paid now. The way the arbitration process works is simple enough. A team will look at a player and figure out what would be a reasonable salary, then offer an arbitration figure that is less than that. The player does the same, except the player will offer a figure that is higher. Then when the two teams come together, they’ll find a middle-ground figure that is close to what each side figured was a reasonable salary. If the two sides don’t come together on an agreement, it’s because one side — or both — think they can make a strong case for their arbitration figure. With Lopez, it’s a case of making up for lost time. Lopez spent much of the early part of his career making small splashes in the majors with the Rockies, Diamondbacks and Red Sox from 2003-2007. It wasn’t until 2008 that he started making some money through arbitration, making $840,000 in 2008 with the Sox and $1.35 million in 2009. But in 2009, he was designated for assignment by the Red Sox and eventually optioned to the minors, where he spent the bulk of 2009. This had an adverse effect on Lopez’s earning potential by limiting his service time. When he was released by the Sox after the 2009 season, it took him out of the arbitration process. He signed with the Pirates for $775,000 in 2010. And while he had a solid season with the Pirates and Giants, he finished the season five days shy of having enough service time to be eligible for free agency. The Giants offered Lopez $2 million in arbitration. Lopez countered with $2.875 million. The Giants will argue their number is closer to what other middle relievers are getting in arbitration. Lopez will likely point to his service time and argue what other middle relievers are getting in free agency. We’re guessing the Giants were hoping to settle around $2.2 million, while Lopez was looking for something in the area of $2.6 million. Look for the two sides to settle around $2.4 million. Now Torres is 33. And because he spent so much of his career as a journeyman minor leaguer, he has never earned more than $426,000 in a season. So he’s due a big raise, whether he earns what the Giants offered ($1.8 million) or what he proposed ($2.6 million). That fact means the Torres probably feels he’s got nothing to lose, and much to gain. This is his first go-around in the arbitration process, meaning he won’t be eligible for free agency until after the 2013 season, when he’ll be heading into his age-36 season. The McCovey Chronicles has a clever post about the Torres arbitration process. To read it, click here. Bottom line here is that the Giants were probably hoping to settle at $2 or 2.1 million. Halfway is $2.2 million, but the Giants should offer Torres an early birthday present and give him an offer of $2.35 million and call it good.